Gaetano in action, working on a recording. I'm excited to expand my Teaching Artist interviews outside of New York City this month! My first "out of town" interview subject is Gaetano Vaccaro, a skilled musician, video artist, and of course, Teaching Artist based in Albany, NY. How long have you been a Teaching Artist? This will be my ninth year as a teaching artist. I actually began teaching music right out of high school when I was nineteen, focusing on private guitar instruction. It came on the suggestion of my former guitar teacher who mentioned to me one day, “Why aren’t you teaching lessons?” I was slightly taken aback as I didn’t see myself as old enough or skilled enough to teach lessons, but once we sat down and talked about it, I found that I did actually have the skills to teach up to a fairly intermediate level. Given that the majority of my guitar students were beginners, I found that teaching the lessons greatly helped my own playing and was forcing me to practice and to listen to music I wouldn’t normally listen to. That experience is really what drove me to further pursue teaching arts. It also is what allowed me to get away from the trope that “those who can, do; those who can’t, teach.” I began to gain a greater empathy with my own teachers who pushed me along my path of becoming an artist. I also began to see that teaching did not automatically mean that I couldn’t continue pursuing my own artistic passions. I have always been tied to being a musician and it is one of my primary art forms, but in order to make a living as an artist I found that I needed to diversify my art forms. Part of that has meant exploring teaching opportunities in the arts, but also expanding out into various artistic mediums. As I already had a grasp on audio production and music composition, other digital arts came fairly naturally to me. When I got started in Youth FX (which I'll discuss more about below) I didn't really know much of anything about film production. Yet, because of my previous experience, I was able to easily pick up most of the basics from YouTube and then get more in-depth learning from Lynda.com video training courses, which are honestly a great resource for professional artists. From there I again continued to learn and continue to learn by doing. I would film, and take pictures and experiment until I knew what I was doing. I also spent a lot of time learning graphic design and web development. I took those classes at Goddard College where I got my BA in Gender Studies and Web Design. To me, each art form only helps to expand the other and what I learn in one tends to have some kind of overlap into the other. Bringing it back to teaching, I find that my insatiable desire to learn is really fueled by my ability to consolidate and summarize new things in order to teach it to others. Teaching really helps me continue to learn and be a great artist, no matter what medium I am currently practicing. What organizations do you work for? What are your current or most recent teaching projects? First I’ll start with a little background info on Youth FX. Currently, Youth FX is one of the premier youth media organizations in the US. Our films have been screened across the country and beyond. Youth FX films have won well over a dozen awards at film festivals in almost every major city in the US including the LA Film Fest and the Independent Film Festival in Washington D.C. (see http://www.youthfx.org/festivals/ for a full ist of festivals and awards). To me, the success that the youth have experienced has stemmed from two really special parts of the program. First, we have very dedicated youth, some of whom have been with us for the entire nine years the program has existed. These youth become very skilled in various aspects of media creation and storytelling and are able to be mentors to incoming students in the program. This mix of new ideas, youthful exuberance, and skilled peer leadership creates absolutely stunning displays of creativity and collaboration. The second piece is that the “leaders” of the program such as myself act as guides who provide the resources and the training, but never dictate what video or artistic projects the youth create. 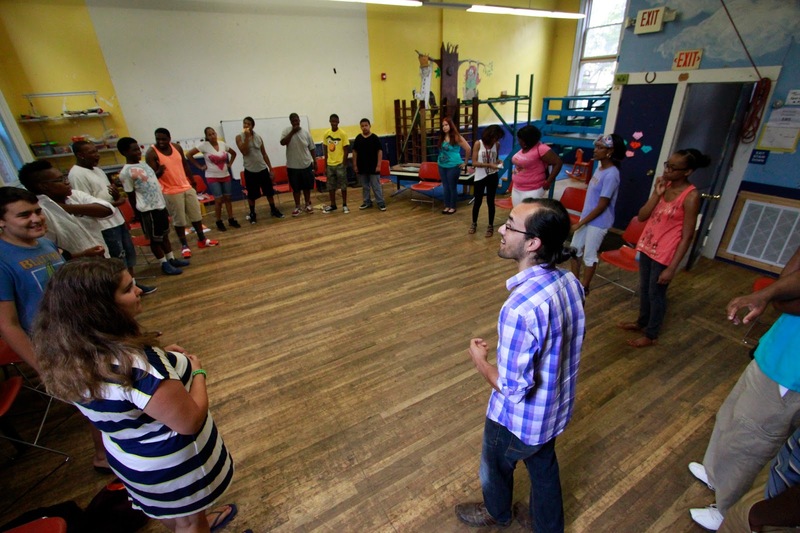 Youth FX aims to empower youth to tell their own stories and receive real world professional arts training. Many of the youth are employed for the six-week summer program through the city of Albany’s summer youth employment program, which in essence acts as a paid internship opportunity in digital media arts for youth in Albany. My other main project is teaching at Albany High School with the MediaWorks program. I was recruited for the position by Proctors, a large arts organization and performance space in Schenectady, NY, to help to develop a program to integrate video into a common core ninth grade English class. MediaWorks at Albany High School (AHS MediaWorks) began as a two-month pilot program in 2011 where I was working three to four days a week in five different ELA classrooms integrating video using project based learning (PBL) methodology. The pilot received rave reviews from participating teachers and administrators at Albany High School. Most importantly, the participating students showed noticeably higher engagement levels throughout the pilot. Based on the success of that first program, Albany High School decided to give the go-ahead for MediaWorks to grow into a full-year integrated program combining media arts and media literacy with the Common Core ELA curriculum. I have focused the curriculum of the program over the past four years with the help of the English teacher I am currently working with. Students throughout the year learn all aspects of media production including creating short movies, documentaries, and PSAs. In addition, I have integrated core concepts of media literacy so that students can hopefully become more critical of the media-rich world around them. My goal is always to have my students leave ninth grade with more-developed critical thinking skills, an awareness that they are creative people, and hopefully more confidence in their abilities to communicate their thoughts and ideas to others. What's the most memorable moment you've had recently? It is so difficult to choose a moment. It feels that every day is filled with unique moments that continue to make what I do worth it. Every time I am able to see one of my students being creative in whatever way feels rewarding to them, it adds to the feelings of pride that I take in the work I do. What other creative projects of your own are you working on right now? In order to remain a relevant teaching artist I am always working on my own creative arts. Over the past few years I have put out two albums with my band Taina Asili y la Banda Rebelde (www.tainaasili.com). My partner Taina is the primary person who handles many of the day to day responsibilities of managing our music career. In addition to the obvious creative work of being in a musical group such as composing and arranging, I step in to assist in the research aspect of booking and marketing. I also utilize the multimedia skills I have gained over the years as a teaching artist focusing on film to help create videos, graphics, posters, and more for the band. The most recent project I have been working on is a music video for a single off of our 2014 release “Fruit of Hope” called “Freedom”. It’s super-rewarding work as it really taps into all the visual media such as filming, editing, and design, combined with my music. How do you find balance between your teaching and other creative work? What systems or strategies do you have for balancing the many things that you do? Really, this question is crucial not just to creative professionals, but to anyone who needs to balance aspects of their life such as family, work, hobbies, self-care, etc… Personally, the biggest responsibilities I am balancing are raising two children, having a loving relationship with my partner, helping to manage / create with my band, managing my finances and household work, my full-time teaching role with MediaWorks, and my part-time teaching role in Youth FX. After taking care of those top-level items, I get to watch a movie and maybe eat something and sleep sometimes. My biggest strategies are to constantly review and evaluate what is working and what is not working. I utilize Google apps, specifically Google Calendar and Google Drive, to manage the ever-changing and ever-full days of my life. It helps to be able to share documents and also work on them from wherever I may be at the moment, which could be anywhere since we tour with the band consistently throughout the year. It is critical that the calendar is shared amongst any of the people I am working with on a project, so that we can all easily see what we have coming up. I have a shared calendar for MediaWorks, Youth FX, home life, band work, etc… Being able to see all of those calendars in one place and also see when other people put in events is super-important to balancing what I do. Although it can seem overwhelming at times, color-coding really makes life just that much better. Describe the overlap between your teaching work and your creative work. As I mentioned before, in order to stay relevant as a teaching artist, it is important to me to always be somehow involved with the creative arts at a professional level. My work as a teaching artist helps to elevate many aspects of my art and allows me to practice by teaching, which really is one of the best ways to learn and keep your skills sharp. Having to break down all of things I teach into small step by step instructions makes me look at my own creative process and lets me really think out how to create and revise my work. Do the organizations you work for actively support and encourage the connections between your teaching practice and your creative practice? I think that so much time is required to make the magic happen within the organizations I work for that there isn’t really time to give active support to my own personal and creative work. It is certainly recognized and celebrated, but in many ways I need to wear different hats when dealing with the nitty gritty logistics of making the programs run day to day. Sometimes there is overlap, such as when some of the youth from Youth FX shot a live concert my band performed at or helping with our first-ever music video, but typically the two worlds are somewhat separate. 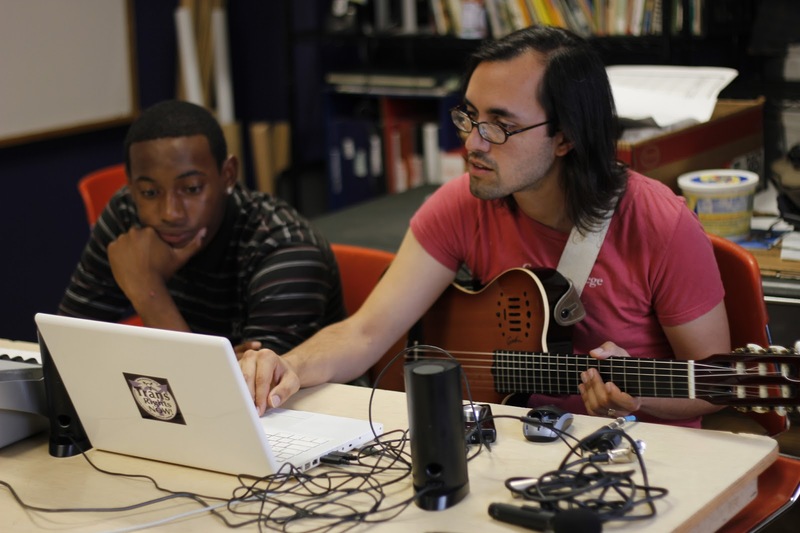 If you could change one thing about your life as a Teaching Artist, what would it be? It would first be getting payed more! Of course there are many things that could change to improve what I do and make it better, but many of those things are external, such as support and finances. Even the organizations that I work for are limited in their capacity based on how much support and resources are dedicated to the arts. Ultimately, it is not on one small nonprofit or another to provide those resources, but rather a shift in the way that people at a higher levels distribute and prioritize resources and money. On a more personal level, it would be to further integrate my personal creative work with my teaching arts so that one more directly fed the other. Do you have any plugs for upcoming teaching/creative projects of your own or of people you admire? Here is a lovely list of links to peruse at your leisure. All of the following are either creative projects that I am directly involved with, or are people I know personally who are doing such absolutely incredible and vital work in their communities. Taina Asili y la Banda Rebelde combine powerful vocals with an energetic fusion of Afro-Latin, reggae, and rock. The six-piece ensemble from Albany, NY, led by Puerto Rican vocalist Taina Asili, offers a sound that spans continents, exuding a strength of Spirit, inspiring audiences to dance to the movement of rebellion. Youth FX seeks to inspire and empower youth in Albany’s under-resourced neighborhoods through an understanding and hands-on exploration of the creative and technical aspects of digital filmmaking. We aim to foster and grow a community of young people who have a voice in shaping the destiny of their personal lives and their communities by telling their stories and acquiring media skills in emergent technologies. MediaWorks is an Arts-in-Education program designed to integrate media arts with Common Core curriculum to create new pathways for student success. Proctors is working with Schenectady High School and the Discovery Academy at Albany High School to integrate media arts into English Language Arts curriculum. A professional media artist works with a team of teachers to develop and implement new learning pathways, based on Common Core standards and Project-Based Learning, to increase student engagement, attendance, and success. Truthworker Theatre Company is a social-justice-based, hip-hop theatre company for high school and college-aged youth in Brooklyn, NY. We are intent upon providing free programming and professional stipends for young visionaries & performers to receive rigorous training. Sweet Freedom Farm provides educational and local food resources for the Hudson Valley and New York City as part of our commitment to building urban/rural relationships. The goal of the Victory Bus Project is to provide affordable transportation for families in urban areas going to visit their loved ones in rural prisons. Families are provided with the transportation for just the cost of a box of fresh fruits and vegetables, making farm produce accessible. During the rides we engage families on how we collectively address the prison industrial complex and food sovereignty, pushing folks to demand FARMS NOT PRISONS. Kite’s Nest is a learning resource center dedicated to curiosity, inquiry, and social justice in Hudson, NY. We are committed to creating an extraordinary environment for children and teenagers to learn, play, and grow. Together we generate experiences that spark the interests and passions of young people, and offer a supportive environment for children and teenagers to pursue and develop their interests within their community. We believe that by supporting young people to develop a passion for learning, we are building a generation of young adults with the skills, abilities, and confidence to create meaningful lives and make positive social change. Soul Fire Farm is a family farm committed to the dismantling of oppressive structures that misguide our food system. Soul Fire Farm is a Certified Naturally Grown family farm, community resource, and vessel for education. We raise life-giving food and act in solidarity with people marginalized by food apartheid. With deep reverence for the land and wisdom of our ancestors, we work to reclaim our collective right to belong to the earth and to have agency in the food system. We bring diverse communities together on this healing land to share skills on sustainable agriculture, cooking, and natural building, and contribute to the movements for food sovereignty and community self-determination.